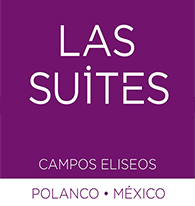 Suites Campos Eliseos offers warm, gracious staff and high-quality service. For as long as you’re with us, our main goal is to make you feel completely at home. If you are considering a stay with us, please read our reviews below to learn what past guests have to say about their experience at our hotel in Mexico City. A beautiful stay. We would go back to Las Suites anytime when the opportunity arises. "Excellent facility, modern, tasteful, pleasant and excellent location in Polanco neighbourhood. Steps from Chapultepec park and a short ride to CDMX business centres. Breakfast was abundant and varied, from berries and fruit to Mexican traditional items such as Eggs Mexicana. Excellent overall." "Amazing breakfast with French cheeses, croissants, fresh salmon, and many other delicious." "Great location closed to many great restaurants. The staff were great, always willing to assist with directions. One of the best buffet breakfasts I have experienced so would highly recommend this hotel." "We came from NY on a 2 day trip . I was traveling with myself and my 4 yr old daughter. We meet the other 7 people of our group there. It was an amazing experience! Clean , clean clean!!! The food was amazing also! On our first night my daughter got sick and threw up all over the bed. There is a young gentleman who works at night ... He was amazing!!! He brought me clean sheets asked if we needed help. Such a sweet guy. All the staff there. The lady who checked us in on 04/23 was so sweet and helpful!! Also great bargain!!! Will definitely be coming back !!! Thank you all for a great first experience in mexico!! (F.Y.I. This is also the first review I have ever written in my life)"